You can be sure about it — You can achieve the look of a 20-year-old even when you’re 40 with the help of the best eye cream that complements your skin. Don’t be so surprised. The best eye cream for wrinkles have been tried and tested to work sufficiently powerful enough to make you see visible improvements in your wrinkled eye skin. It does take a little bit of faith, you know but, since faith will never be enough, this article will walk you through everything you need to know about eye creams. Do Eye Cream Correct Under Eye Wrinkles Effectively? User reviews indicate that well-formulated eye creams, indeed, can show visible improvements around the delicate eye skin comparing before and after results. Other than occasional reports of allergic reactions, there are no other reported side effects from using high quality eye creams. Products from unknown manufactures and sub-standard brands, however, have caused more severe side effects that includes skin burns and swelling. Even third-party reviewers agree that making the right decision about which eye cream to use makes a world of difference on the benefits that you can derive. Vitamin K: Commonly added to products also as Phytonadione, this ingredient delivers multiple benefits for your eye skin. First, it works to correct skin pigmentation which effectively lightens and brightens your eye area. 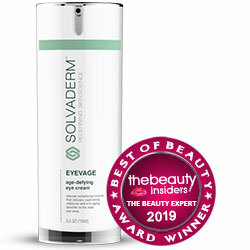 Second, it strengthens your otherwise fragile and damage-prone eye skin. As such, your skin becomes better protected from damaging factors. Anti-inflammatory ingredients: There are plenty of ingredients that can help deliver an anti-inflammatory function to calm chronically irritated skin as well as relieve skin redness and swelling. The most effective ingredients for this function include rice bran and soybean protein, arnica montana, and chamomile extract. Antioxidants: These protective and skin revitalizing ingredients are derived from natural sources that includes essential oils, as well as fruit and plant extracts. Skin moisturizers and hydrators: Two of the most effective ingredients that also happen to be widely used in skincare products are squalane and hyaluronic acid. Both ingredients help keep your skin protected from drying out using slightly different mechanisms. Squalane is added to eye creams to deliver a moisture boost. On the other hand, hyaluronic acid draws in moisture from the surroundings to make your skin plumper and appear dewier. Skin lightening ingredients: Vitamin K is one example. Others include Vitamin A which inhibits melanin production, and kojic acid which lightens your skin. So you think you now know how to correct under eye wrinkles? It’s not as easy as you think, most especially when you realize there are so many products with very different formulations that you can choose from. 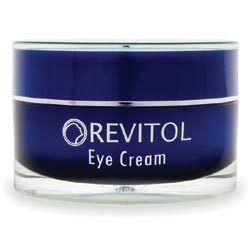 In fact the best eye cream for wrinkles may not be an ideal eye cream for dark circles. Start by re-evaluating your skin type. Just because you’ve always had oily skin, that does not mean that your skin still remains to be on the oilier side. Keep in mind that aging skin usually shows as dry skin. Get the most out of your eye creams by getting yourself products that suit your skin well. Search for products that complement your skin type. Now, you can narrow-down your search to include only the products that suit your skin type. Drier skin types will be able to tolerate heavier creams, including those that are formulated with thick emollients and skin conditioners. If you have an oilier skin type, you should stay away from these products and pick up those that have a sheerer consistency. Look for worthwhile deals. Do not be tempted to buy even the best eye cream in bulk until after you’ve validated that it is best for you. If you’re trying out a product for the first time, ask for samples and, go for those that are covered by money back guarantees so you can return these without fees if it does not work well with your skin. Know what to look for. Look for the best ingredients you can obtain from an eye cream, listed above. You should also evaluate your product options by knowing which ingredients you should avoid. That includes synthetic fragrances, artificial dyes, and drying alcohols even if you do not have sensitive or reactive skin. Seek proof of efficacy. You want products that have undergone clinical trials and that have been evaluated by third parties. Customer reviews will also help you find out what other users have to say. If you are seriously considering to use an eye cream, you don’t have to doubt that it works. Although, you must choose carefully because not all products work out the best for your skin. Listed below are 5 top rated eye creams that we have reviewed and that deserve your closer attention. Everybody goes through the same dilemma when the right time comes around. “What can I do for under eye wrinkles?” Now that you ask, listed below are ways by which you can help put off and correct your under eye wrinkles. Get on an anti-aging regimen now – When you see wrinkles, you know that something must be done to boost the benefits that you can get from your daytime and nighttime skin care routine. Your skin is desperate for an overhaul, and an eye cream with SPF for daytime and a hydrating eye cream for nighttime can help you achieve your skin goals. Use only high quality products made with high quality ingredients – Aging skin does mean you need to see your skincare specialist more often. Although, there are ways to splurge on your skin that does not require you to break the bank, including investing on a well-formulated eye cream to hydrate under eye wrinkles everyday. Commit to a healthier lifestyle – Even if you’ve found an effective wrinkle treatment, the choices that you make everyday about what to eat and what kinds of activities you engage in all shape your health. In turn, your health determines your skin health. If you’re targeting to stay younger for longer, therefore, you must also take the time to reassess you. Manage your stress, get enough sleep, find a regular hobby or recreation, and reconsider quitting your vices too. Under eye fillers may be used for people 21 and over but, is generally not advisable for prevention purposes. An eye cream may be safely used for skin aging prevention even by people in their 20s. Under eye fillers increases your risk for bruising, given that skin around the eyes is very thin and delicate. An eye cream will help you achieve what an eye filler can without the need to take this risk. Unlike other parts of the face, the FDA has yet to approve the use of specific fillers for improving wrinkles and fat loss around the eyes. Use of under eye fillers, therefore, are often off the label unlike when used around the lips or cheeks. An eye cream will help you plump your delicate eye skin without requiring you to take similar risks. Once injected, an under eye filler becomes harder to manage. Your skin specialist may be able to make adjustments but, in general, first time patients are at higher risk for being given a dose that is either too much or too little. This procedure works better with patient history most especially because different people digest fillers differently. If nothing can be done to correct your results immediately, you will have to wait for your filler to wear down. A well-formulated eye cream, such as a Vitamin K cream will bring significant improvements to your aging eye area. It may not be a quick fix but, it’s a sure fix minus the risks of making you look like somebody else.